This brand new business centre opening its doors in November 2018 will provide highly flexible office solutions ranging from private offices to workstation in an exclusive area. Unique architecture with high ceilings and extraordinary windows is guaranteed to impress you, your colleagues and your clients. The centre also benefits from excellent public transport links with buses passing through the area frequently. Public transport links make the centre easily accessible. This 120 year-old building is in the heart of the city centre and provides premium class office space suitable for one day to one year or more. Offices have ergonomic chairs and adjustable tables while ceilings are high and corridors are spacious. Other featured services and facilities include high speed internet access, ergonomic chairs and adjustable tables, professional multilingual support team on an as-needed basis and flexible services guaranteeing comfort and clients attention to business. Found in the heart of Vilnius, this modern and innovative complex provides a range of office solutions suited to freelancers and entrepreneurs. You can choose a selection of private offices, coworking spaces and meeting rooms. You can also benefit from this prestigious business address using virtual office options. Offices a modern and sleek, with high speed internet keeping you connected and productive. Set to opens its doors in summer 2019, this brand-new and modern business centre will offers 36 impressive offices, 90 shared workstations and access to 6 fully equipped meeting rooms. You can also access contemporary conferencing rooms with premium digital solutions, and enjoy great coffee on-site. With no deposit fees and flexible membership rates you can enjoy this modern space with transparent agreements. An impressive business centre offering virtual-office solutions available on flexible terms. A perfect opportunity for those wishing to expand their business remotely. Here, members can make use of on-site meeting rooms and telephone answering as well as experiencing all the benefits of working freely in any location. 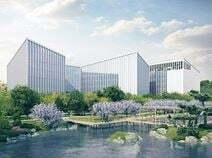 The area is prestigious, surrounded by other commercial properties and several local amenities. This centre offers a variety of office spaces, modernly designed, equipped with state-of-the-art technology and provided with on-site cafés and shops. All offices have the latest IT installations, flexible occupancy terms and fully furnished interior workspace; ideal for any type of professional client their specific associated requirements. 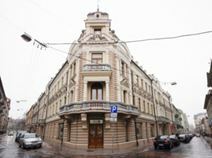 It enjoys an excellent location in the centre of Vilnius, close to important offices, tourist attractions, well-known hotels and the finest restaurants. This centre is part of a stunning building complex in the ParkTown business site in central Vilnius, an innovative and state of the art facility set amidst beautifully designed exterior aesthetics. It is a great location for businesses anticipating international clients. In addition to its quality services, business related amenities which include high speed internet, conference facilities and meeting rooms ensure you stay well connected. There is also 24-hour access and secure parking for your convenience. Located in the Seskine district in the north of Vilnius, this up-to-date serviced office provides high-tech equipment, superb meeting rooms and much more. Our professional team is on hand to help with your business needs. Occupying an office at this centre grants a certain level of prestige and status from working as part of one of the region's most renowned corporate communities. The centre also overlooks a shopping centre, LNK studio, many cafes, major banks, offices, shops and retail outlets. Located in the heart of the capital city of Lithuania this business centre provides start ups and traditional enterprises with the facilities and opportunities needed to expand and develop your business. The centre offers competitive rates, allowing you to work in a professional and productive environment without huge capital investment. Your membership here will open up plenty of opportunities, including getting involved with the ever-growing market of Blockchain in Lithuania. There are plenty of workspace options open including private offices built for small, medium or large team sizes. The location is highly convenient, right in the city centre with plenty of useful amenities around you. 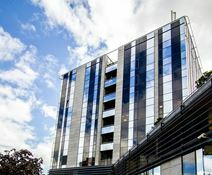 A wide range of offices, meeting rooms equipped with video-conferencing facilities, and a spacious business lounge are available to let in this modern building, located in the heart of one of the most dynamic business areas in Vilnius. Technologically equipped and provided with 24/7 access and monitoring system and parking area, these office spaces offer an ideal working environment, which benefits from high quality administrative support. The building is surrounded by numerous amenities and is easily accessible and well connected to the city centre. Found in the modern and recently built Zalgiro building, this business space provides professionals and entrepreneurs with a comfortable and highly functional place to work and grow. Membership packages are flexible and affordable, giving you access to a selection of offices including private offices, coworking spaces and meeting rooms. You can also benefit from this prestigious address and several professional services using virtual office options. Offices are bright, spacious and open plan, allowing for plenty of natural sun light.